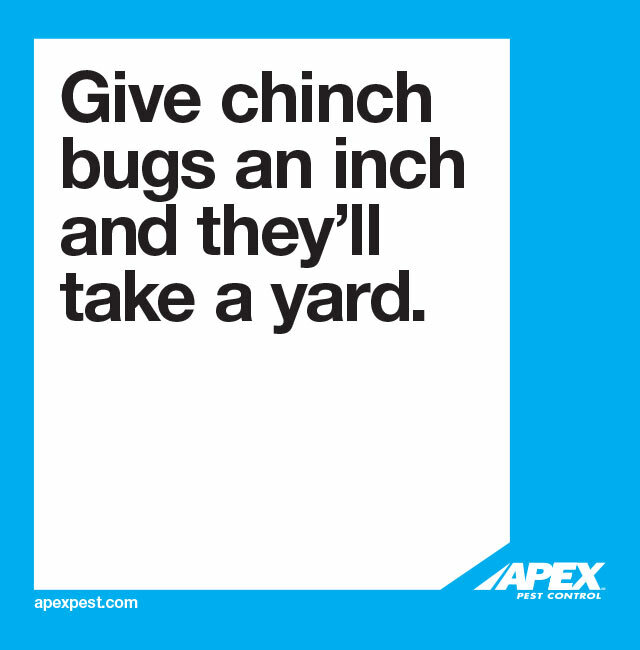 Guaranteed to get rid of the bugs. 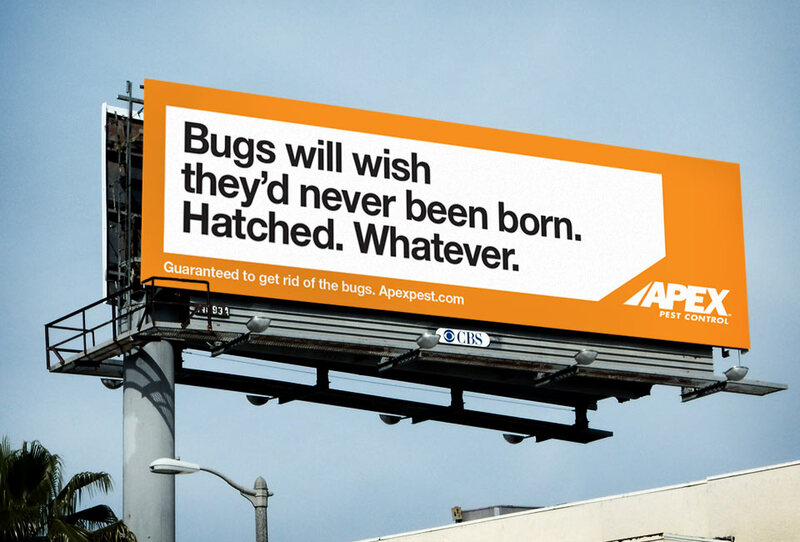 There’s nothing funny about bugs, but there’s definitely something effective about humorous advertising. 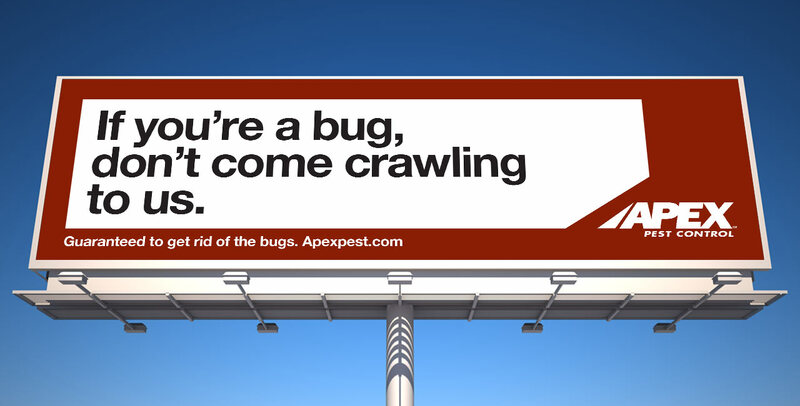 Apex Pest Control serves more than 25 counties throughout Florida. 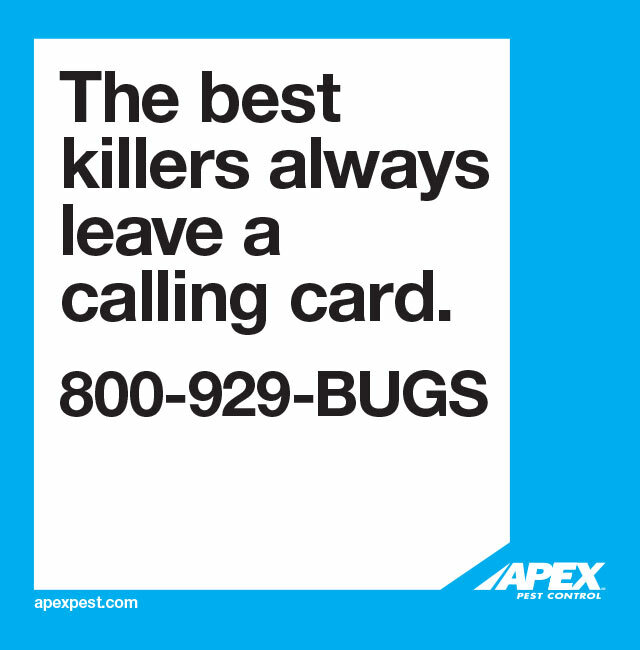 And one thing’s for sure: there’s no shortage of competition in the pest control industry. 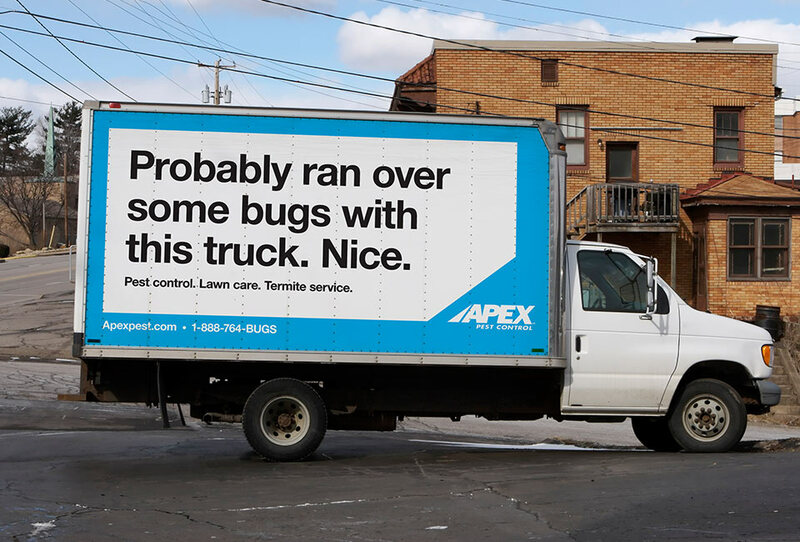 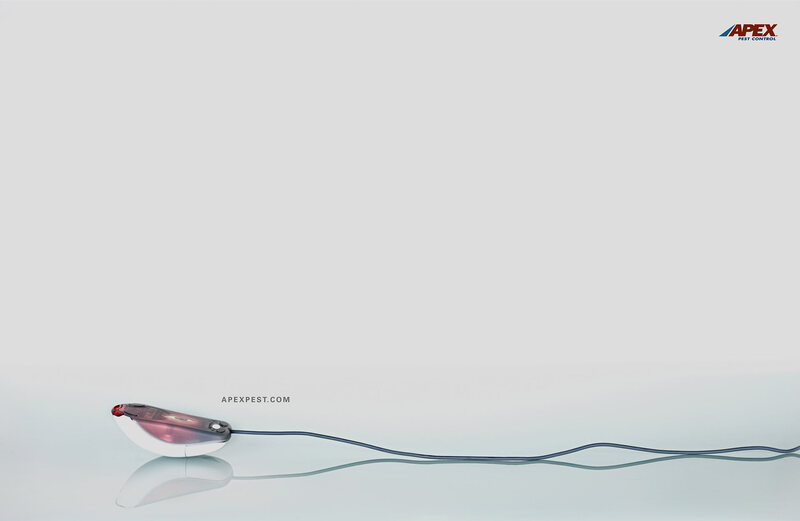 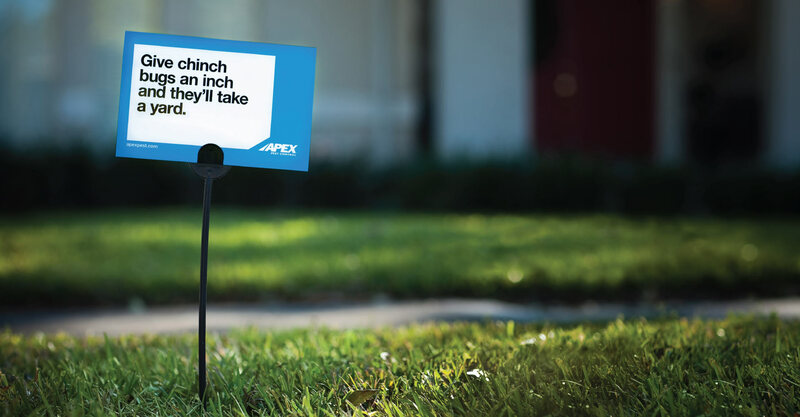 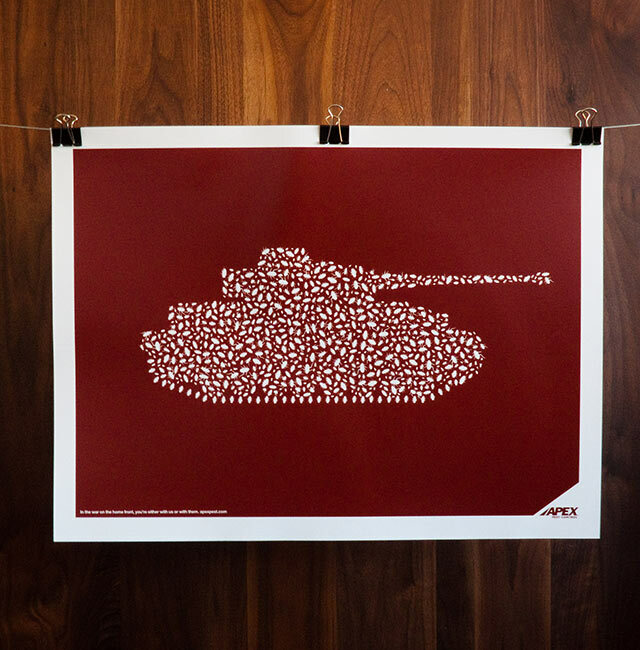 We decided to use humor to help Apex’s brand stand out. 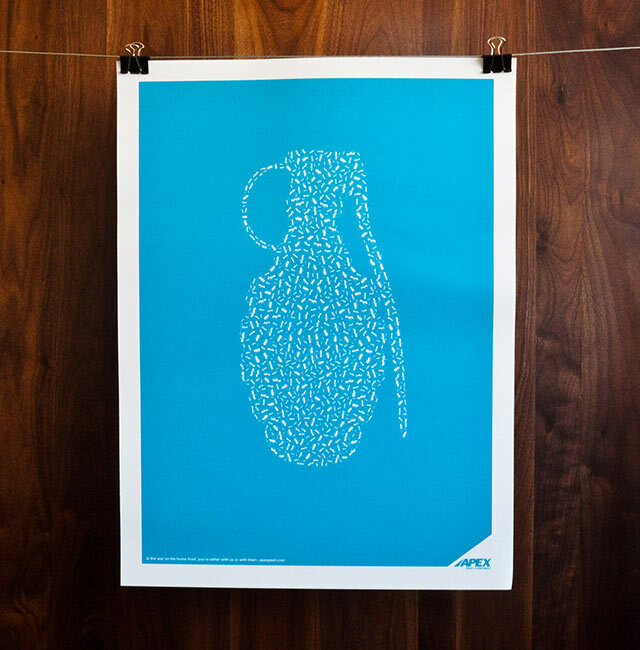 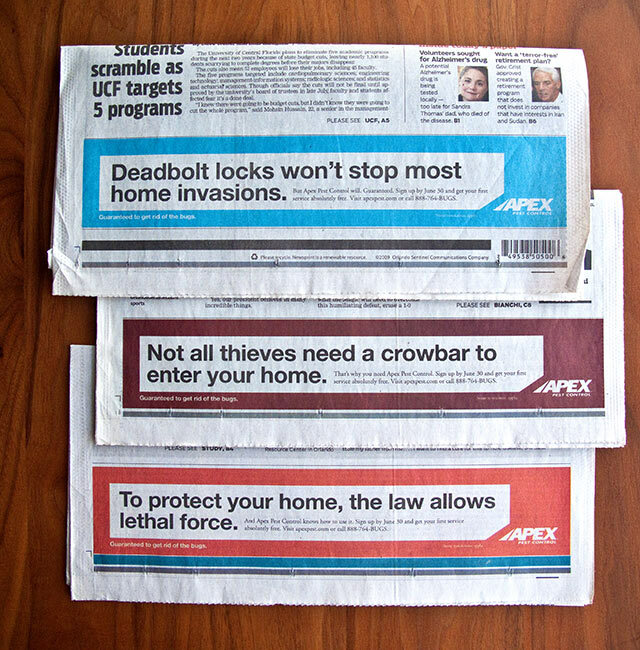 We broke this campaign with two intentions: make consumers smile and, most importantly, make them choose Apex. 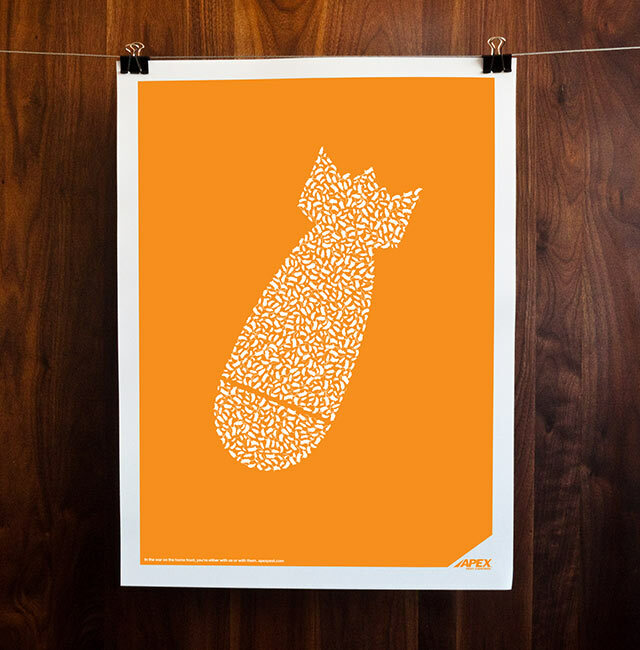 Success on both fronts.